There are a variety of ways to create stories with data. From maps to infographics to the reinvention of the bike commute, we’re often wowed by the ways people creatively build narratives to make their statistics, significant numbers, and noteworthy percentages pop. We’ve been particularly intrigued lately by sites that make use of infinite scroll to create stories that are both interactive and beautiful. Whether they present their data chronologically or in a taxonomy of ideas, these sites combine a multitude of data processing to help the viewer absorb the information in stages. Innovative and fresh, we’ve chosen three that we believe do a first-class job of piecing up the data bit by bit. Distinguished speaker, teacher, and information designer Angela Morelli presents the unseen daily usage of water per person in “The Water we Eat” — accounting for not only the domestic, but also industrial and food-based consumption, we go through each day. 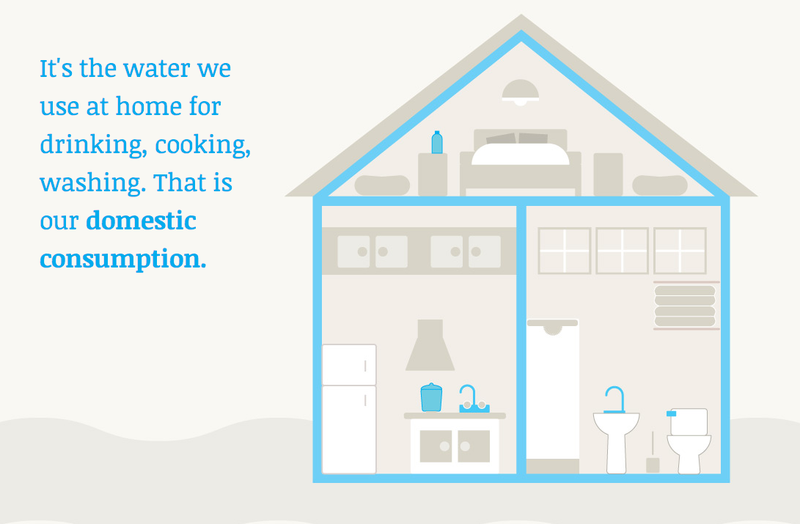 Part wake up call to the growing depletion of water and part inspirational appeal to a more conscious consumption of our food and amenities, this “infographic story” paints a full picture of a large and complex world issue. 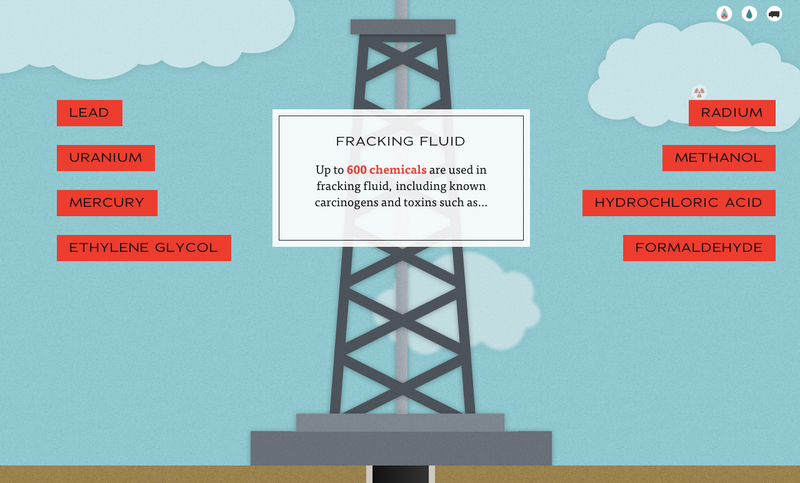 In a similar vein, we found a site that looks at the effects of hydraulic fracking. 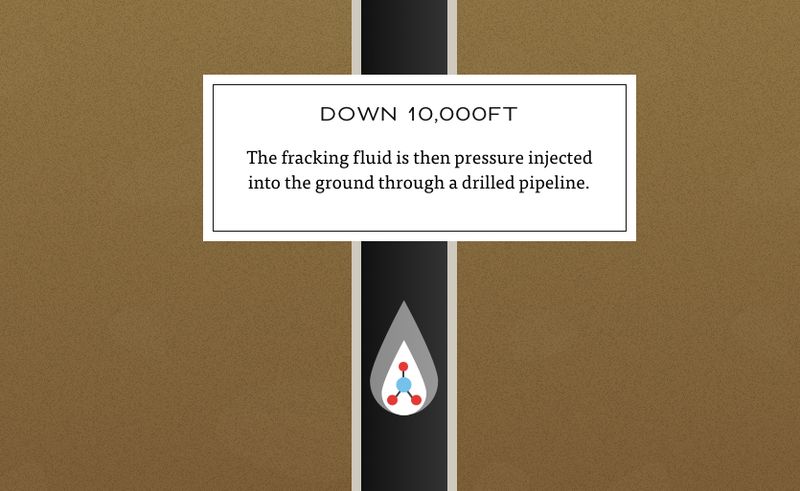 Created by designer Linda Dong, the interactive story is part of a campaign against fracking’s harmful impact on the earth. Showing the procedure from beginning to end, you are taken through the steps, seeing how much water and chemicals are used to produce 300,000 barrels of natural gas a day, but at the price of numerous environmental, safety, and health hazards. To end, we found a great flowing timeline of iconic furniture pieces, created by design group LLI. Scrolling down, chairs created by celebrated designers such as Norman Cherner seamlessly flow from one to the next, seating you in the time period when they were made. Did we miss any good scrolls? What other interactive features grab your attention?